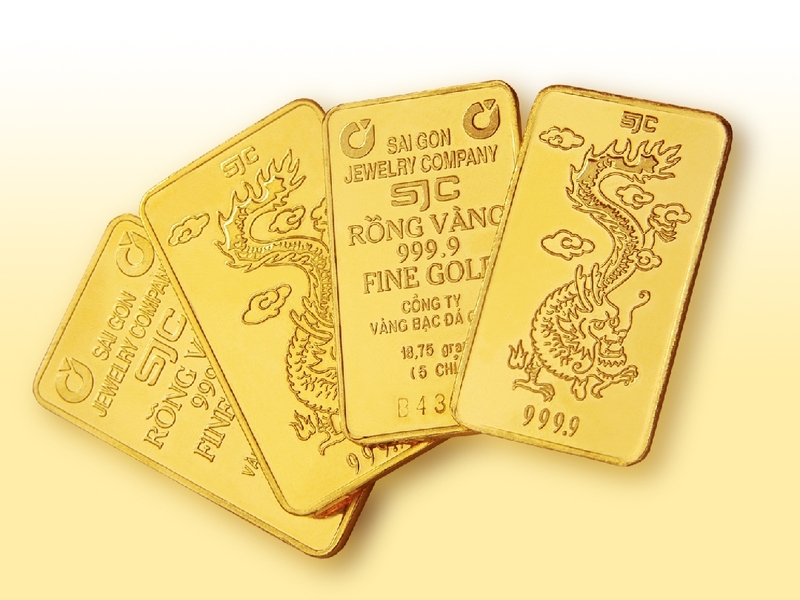 Gold bullion copying SJC, the country’s most popular brand name, has recently re-emerged on the market, dismaying both gold traders and the bars’ authentic producer, Saigon Jewelry Co. While forged gold bullion used to be produced only under the form of the 1/5-tael, or 0.24 ounce, bar, it is now circulated in the form of one-tael bullion, according to gold traders. Faking SJC gold bullion will help gold smugglers regularize their contraband raw material gold, and rake in huge profits. With SJC gold bullion chosen as the national gold brand name, Saigon Jewelry Co has called on the State Bank of Vietnam and police to probe into the case. Many gold shops in the Mekong Delta provinces have reportedly refused to buy gold bullion, fearing that the metal has not been authentically produced by SJC. On the fake gold bullion, the first letter of the word ‘tael’ is embedded on its surface in a slightly larger font than that of the authentic bars, according to an owner of a gold shop in Ho Chi Minh City’s District 8, who currently has an allegedly fake SJC gold bar. “Its purity is also less than 99.99 percent, which an authentic SJC gold bar is supposed to have,” he added. The fake bullion is made in such a sophisticated way that it is almost impossible to tell it apart from the real deal with the naked eye, gold traders said, adding that even the distinguishing differences on the fake gold bullion have all been rectified. Gold shop owners are now more wary of customers wishing to sell SJC gold bullion than ever before, and all refuse those with old or torn packaging. “We only earn a little profit by buying SJC gold bullion. But a fake gold bar will cost us a huge loss,” the owner of a gold shop in District 1 said. In response to the market concern, Saigon Jewelry Co said the root of the problem stems from the fact that domestic gold prices are still VND2 – 3 million higher than their global counterparts. “With such a huge price difference, gold smugglers are willing to spend millions of US dollars investing in machinery to create fake SJC gold bars, as they will soon recoup the investment,” a company chief official who requested anonymity told Tuoi Tre. Experts also said narrowing the price gap is the only solution to the issue. “Successfully producing a fake SJC gold bullion will bring in a VND3 million profit to the producer, and with 1,000 bars sold, the figure is an enormous VND3 billion ($143,888),” a CEO of a gold company, who preferred to be anonymous, revealed.